In the know! Not really, but we will add some snippets here of stuff we do get to know! The violent reign of 2 of London’s most notorious gangsters, Jack ‘Spot’ Comer & Billy Hill, is grippingly brought to the big screen. In Cinemas on April 19th..
Donna Siggers, The Award winning author of "Broken" and "Betrayal" is set to release her latest book in February. LOST SOUL: POETRY FROM A BROKEN MIND AND MY JOURNEY OF RECOVERY. This is Donna's personal account of the recovery from a serious head injury and the assault that nearly broke her. Donna's Challenges have been many and despite being left with PTSD and seizures she is rebuilding her life. Kerry Kaya, author of the terrific "Barking Boy" (which I still believe should be made into a gritty film!) has a new gangland crime novel called Top Dog out in late February.. watch out for it on Londoncrime! 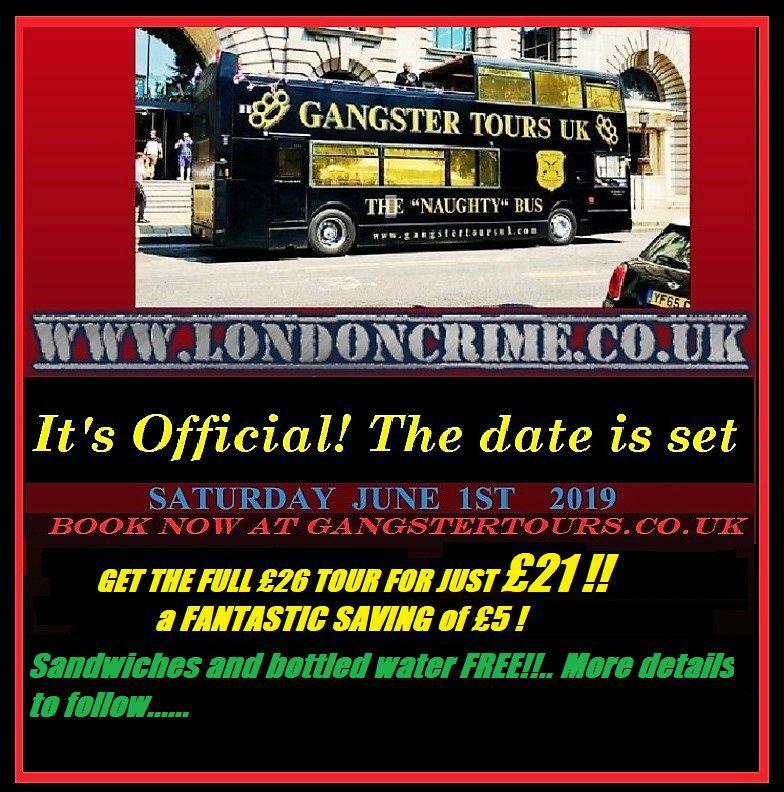 Special event from Londoncrime/Gangstertours for Authors, Actors and filmakers to get together, meet, share ideas, sell books, chat and have a thoroughly inspirational day on the gangstertous "Naughty Bus"!. If you are with us on Twitter or have your books on Londoncrime's website, then book your place on what is going to be an amazing day! June 1st 2019. Wayne Clingman of WI based Made Men Production announced today that his company has launched a joint effort with Goodfella Productions, Glasgow Scotland, on a Machinima take on the world of the Cartels in Mexico and the U.S.A. Machinima being the art of filmmaking from inside a game system. Wayne spoke out about how "far too little is told of how the world of the Cartels is having an influence on both sides of the border.” He believes that it’s “a story that must start being told." Mr. Clingman went on to say, "to see the work that Richard Reid has done with Goodfella Productions and machinima opened up my eyes to fantastic possibilities in creative story telling." The project, Narcosantos, tells of two hard men, both of them killers, trying to find redemption in whatever form it takes in a world gone mad. Does good still exist or is just all different shades of evil? The idea behind the reality of the london crime website is simple. Everyone loves a good london based crime thriller, whether it's a film or London based true crime book, or simply crime fiction that is based in london. This is how it started, I spent hours looking for London crime films, I would look online, I would look in every shop that had a row of dvd's, I would look in charity shops. I would get luck with the odd book or film, and my personal collection grew very quickly. I decided that the darker side of London and its crime history, plus all of the books and films that are available, should all be available in one place. It has now became a complete labour of love. London is a fantastic city, with some fantastic people. This project has introduced me to some of the best authors and film-makers out there! We now present you with some of the latest london crime fiction, true london crime books, and dvd's. A huge thank you to all that are supporting me through this amazing journey. Considerable time and effort has gone into this website, and we constantly strive for improvement. If you like what you have seen, or you think I have helped out , please donate what YOU think the service/info is worth. Donations will go back into improving the site for everyone. Thank you.